A stunning dress, with lace bodice double chiffon flowers at the waist, zipper at back and ribbon around the waist. 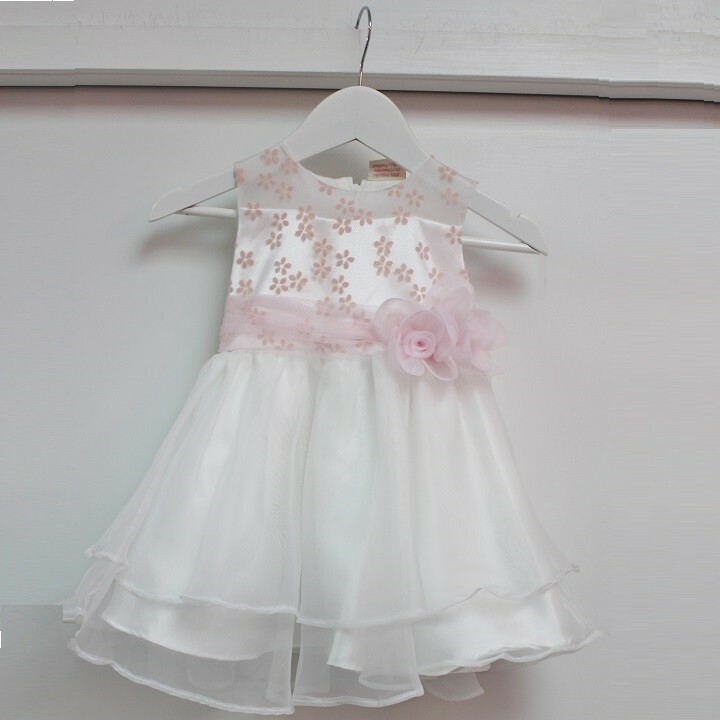 Perfect for the flower girl or party time. Cotton Lining make this a comfortable dress to wear for your baby.